Though you may think we’re crazy, the team here at SweatHB thinks working out in the morning is one of the best ways to stay physically fit. We get it, the alarm already goes off early enough when you have to get up and get ready for work. Why in the world would you want to get up even earlier and put yourself through the tumultuous gambit that is one of our pilates or cycling classes? Well, you’re in luck! Our team has compiled just a few of the many reasons why working out early in the morning can be beneficial for your health and make your day that much better. Other than coffee, a workout first thing in the morning is a great way to kick things off. Sure, the initial time spent waking up, getting out of bed, and heading to our pilates studio can be less than enthusiastic. Once you get into the class, though, you’ll notice your head clearing up, your body discovering energy you didn’t know you could have before 10 a.m., and just like that, it’s done. Even though your workout is done, the energy won’t stop. Not only have you crossed a daily workout off your checklist, but you’re fully awake in both mind and body, and who doesn’t love having an advantage on the next 23 hours of your day? Speaking of being fully awake in mind and body, have you ever noticed that you don’t have the energy or the drive to go to spin class when four or five in the afternoon rolls around? Getting your workout taken care of in the morning is a productive way to prevent lack of motivation later in the day, and it will also give your mind some clarity for the entirety of the day. You won’t be bogged down with the dread that comes with an after work class and can instead focus your energy on the rest of your to-do list. An early morning workout will set a positive tone for the rest of the day and give you the boost to plow through your responsibilities. Those early morning workouts will definitely take their toll on you when you first start. You’ll notice yourself getting home and feeling a bout of exhaustion hit much earlier than you ever thought possible, which means you may go to bed before midnight. Yes, that is actually possible, and you’ll see what a difference it can make. If you are committed to getting to a pilates or spinning class before you start your day, you won’t be able to do it without enough sleep. The physical exertion of a workout plus your full day will mean more fatigue, and you can’t get over that without rest. So, your spin classes and pilates studio visits mean that your sleeping habits are about to get so much better, you won’t know what to do with the energy boost! No matter why you workout, we want you to feel comfortable and know you’re a part of the best classes. 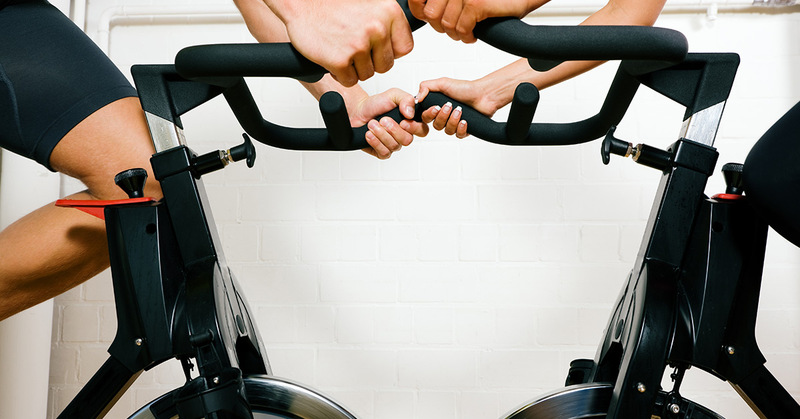 SweatHB is proud to be Huntington Beach’s home for the best spin and pilates classes. When you’re ready to get in shape, stop by or give us a call to sign up for your first class today!